The next eight drivers to join Formula E’s new Drivers’ Club have today (27, January) been revealed with Bruno Senna, Sébastien Bourdais, Oriol Servia, Daniel Abt, Narain Karthikeyan, Christijan Albers, Franck Montagny & John R. Hildebrand Jr. all showing their support for the new global electric racing series. Unveiled earlier this month, the new scheme features a pool of top, international names that all officially endorse the new FIA Formula E Championship and have expressed a willingness to race in the future. Today’s drivers join those previously announced bringing the total to 16 (see full list below) with further names to be released over the coming weeks via the championship’s official website www.fiaformulae.com. In addition, the Formula E Drivers’ Club will allow each member to experience the new fully-electric Spark-Renault SRT_01E Formula E car which recently made its public debut driving along the iconic Las Vegas Strip. Brazil’s Bruno Senna, nephew of the late Ayrton Senna, raced in Formula One from 2010 to 2012 driving for HRT, Renault and Williams before switching to sportscars and the FIA World Endurance Championship. Frenchman Sébastien Bourdais is one of the most successful drivers in the history of the Champ Car World Series, having won four successive titles from 2004 to 2007, as well as racing for Toro Rosso in Formula One in 2008 and the start of 2009. Spaniard Oriol Servia has been racing in the US since 1998, winning the Indy Lights title in 1999 and steadily rising through the ranks to compete in the IndyCar Series. Meanwhile, India’s Narain Karthikeyan has raced in Formula One for Jordan and HRT, as well as testing for Williams F1, and last year competed in the Auto GP Series. Daniel Abt, 21 from Germany, comes from a successful motorsport family competing in German F3, F3 Euroseries, GP3 and now GP2. Christijan Albers is a Dutch racing driver who after enjoying success in DTM drove in Formula One from 2005 until 2007 before returning to sportscars. Frenchman Franck Montagny has competed on a variety of platforms from Formula 3 and World Series to Formula One, including three podiums in the Le Mans 24 Hours. Finally, US driver John R. Hildebrand Jr. has raced in Indy Lights and IndyCar, winning the 2011 Rookie of the Year, in addition to testing with the Force India F1 Team. 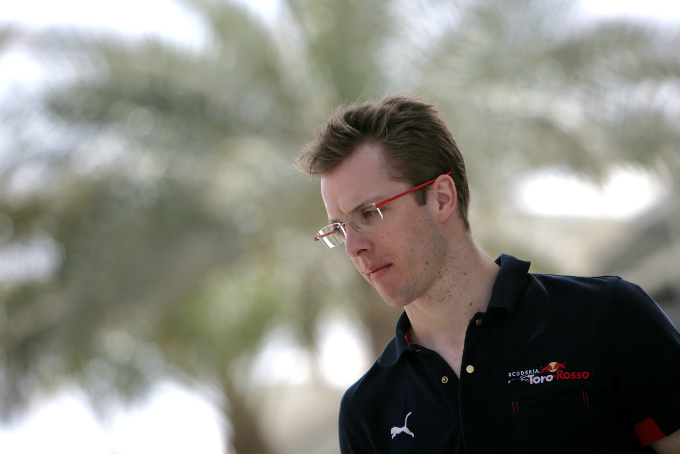 "I'm happy to be a member of the FIA Formula E family,” said Daniel Abt. “I've been following this project for quite a while and I'm very enthusiastic about the new ideas in terms of racing and regulations. For me as a young driver Formula E clearly marks racing of the next generation. And as my family's company is involved with the only German team, it makes things even more exciting. Of course my focus in 2014 will be on the GP2 series, but I'm proud to be involved in Formula E from the very beginning, be a member of the Drives’ Club and now have the chance to follow things very closely. And of course I can't wait to try the car at sometime!" Oriol Servia added: "I have followed the Formula E developments from the very beginning with great interest. I have loved the sport all my life and I am a firm believer that racing not only provides superb entertainment for the fans but also plays a big part in how technology will progress and improve everybody's daily quality of living. Formula E will entertain and become a worldwide platform to showcase the advances in electric vehicles. I am proud to be a part of the Drivers’ Club." Final driver signings for the inaugural Formula E season will remain up to the individual teams.